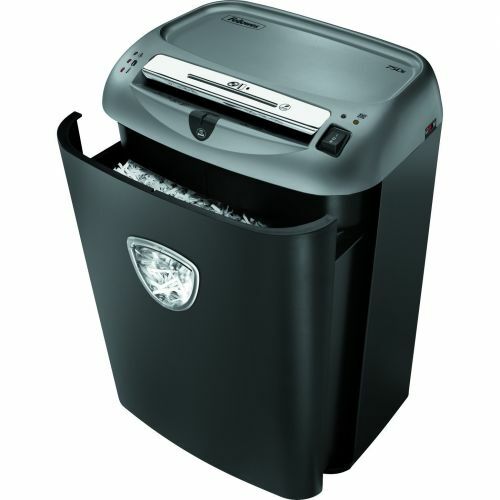 The Fellowes Powershred 75Cs Shredder is a premium cross cut paper shredder with added safety features, designed for 1-3 users in the office environment. 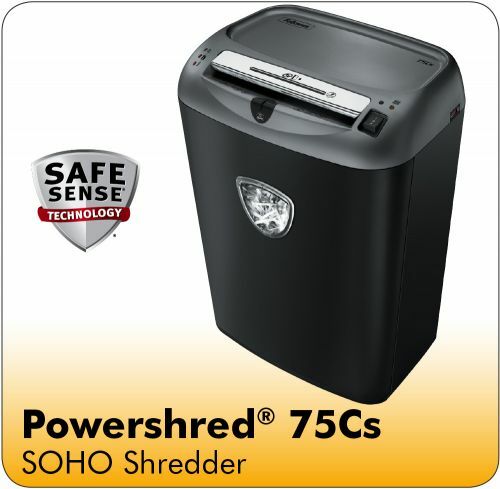 As a Fellowes deskside SOHO Shredder it is powerful enough to stand up to the demands of medium use and ensures productive disruption free shredding. 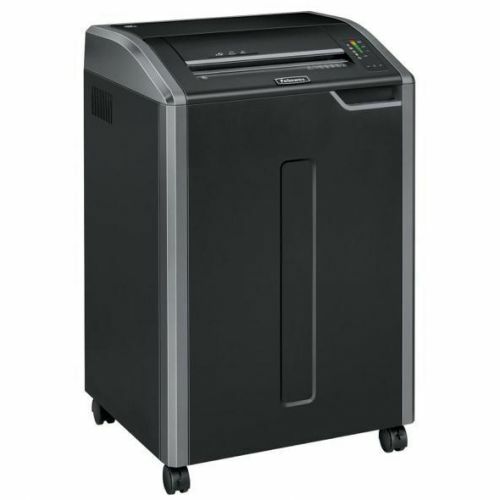 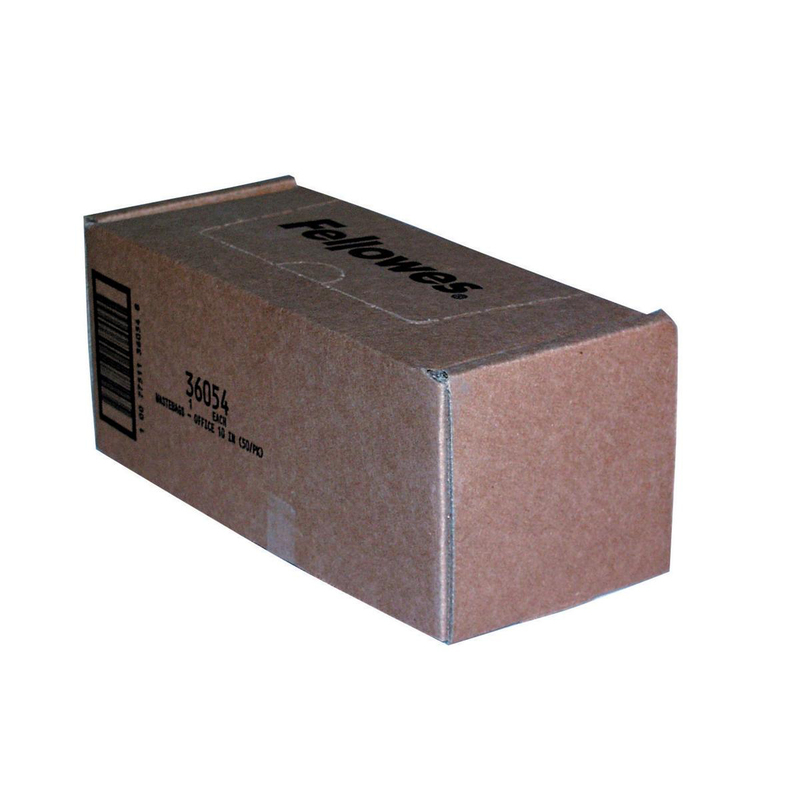 The Fellowes 75Cs is a security (DIN) level P-4 shredder and can shred up to 12 sheets per pass into 4 x 38mm cross cut particles. 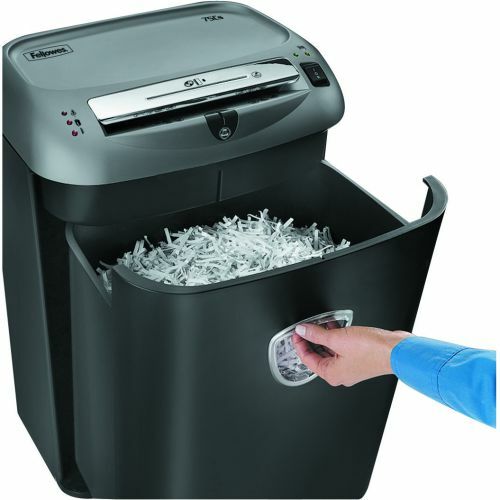 Cross-cut shredding gives a higher level of security and protection against information and identity theft so you can be confident that documents such as internal company documents and personal data are being disposed of securely. 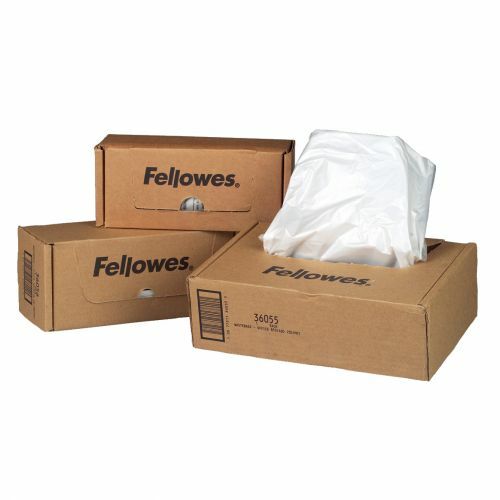 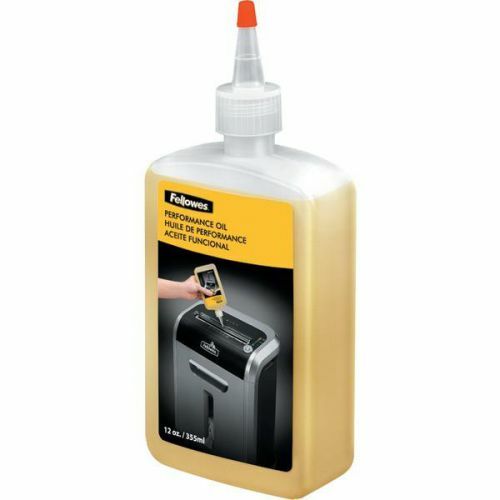 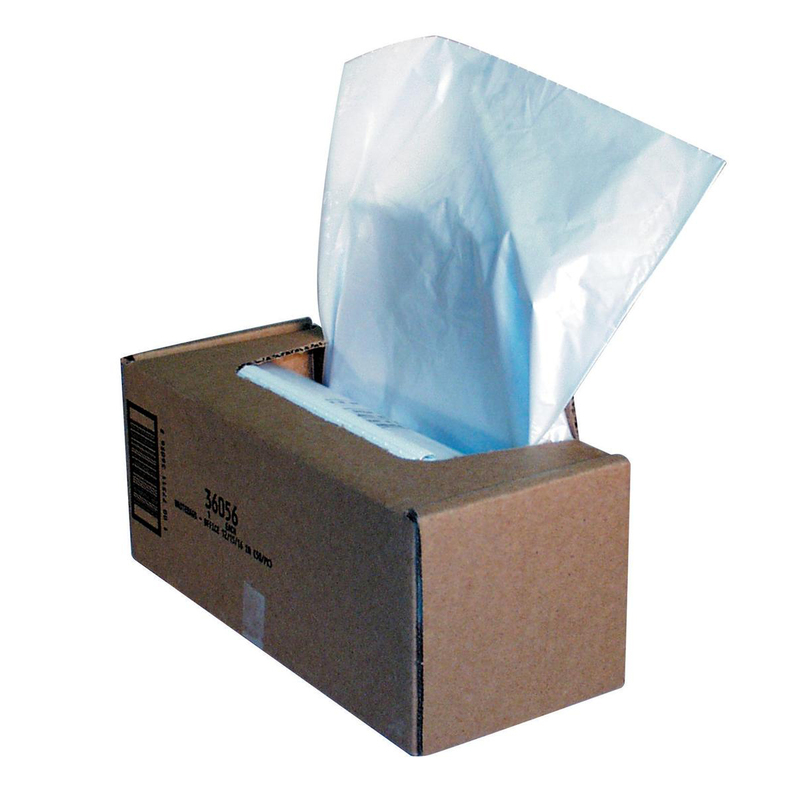 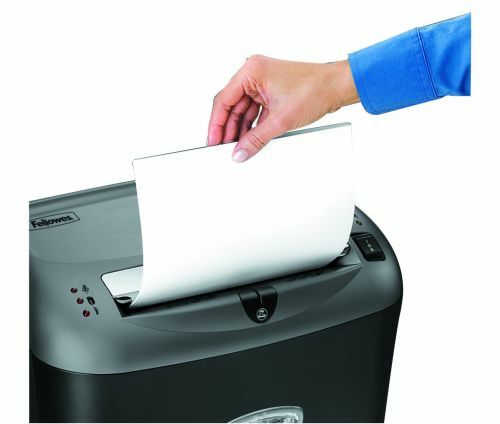 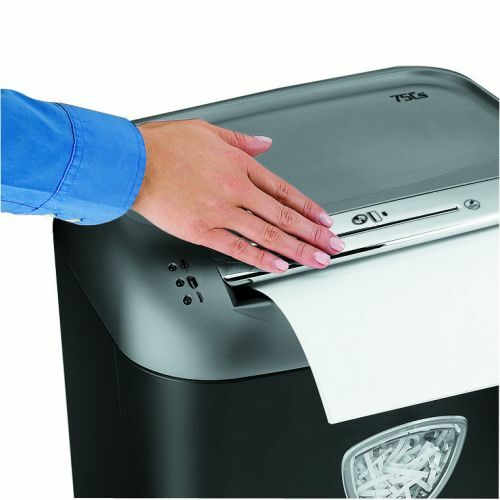 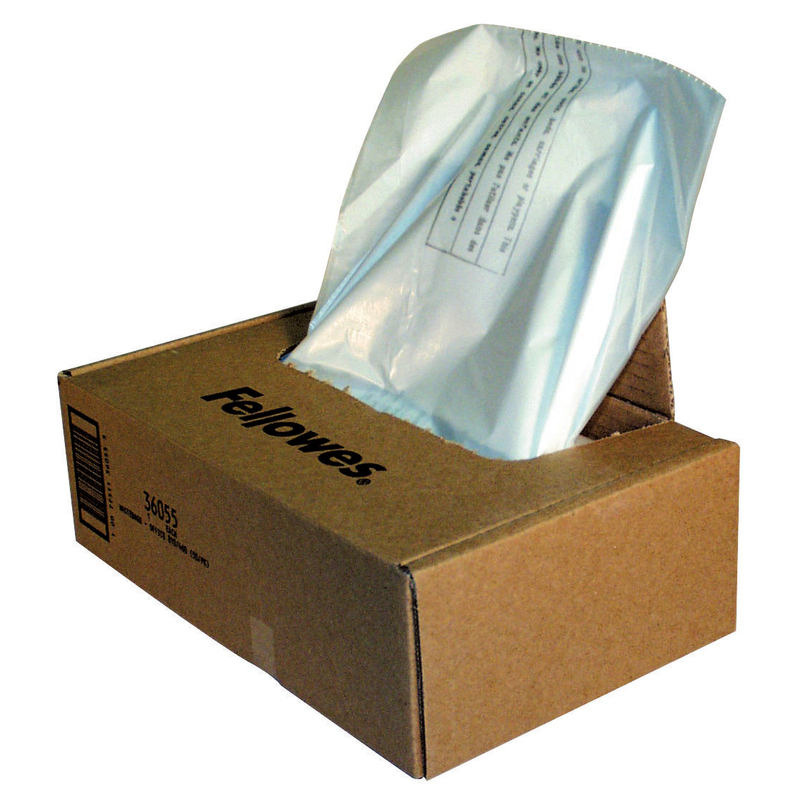 It comes equipped with SafeSense Technology for added safety; automatically disabling the shredder when hands come into contact with the opening and stopping the shredding process immediately. 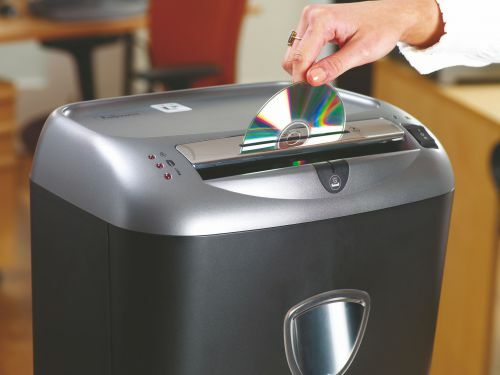 It can also dispose of unwanted credit cards and CDs in a designated safety slot and can shred staples and paperclips. 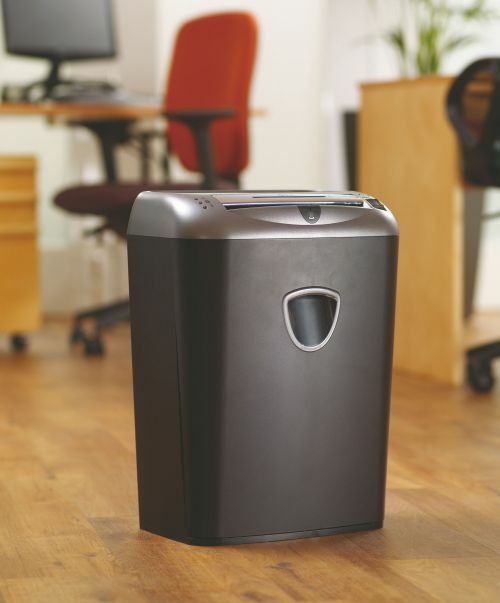 Capable of shredding for up to 10-12 minutes non stop for increased office productivity and comes equipped with a generous 27 litre pull out bin to enable easier, infrequent waste disposal. 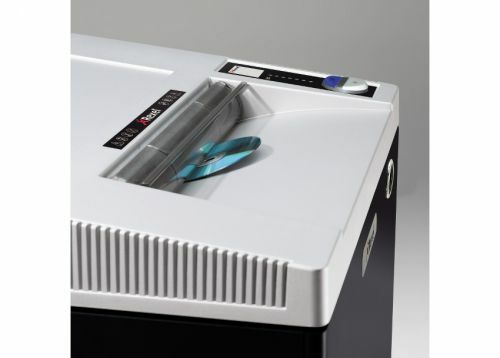 The 75Cs comes with a 2 year full warranty for the machine and 5 year warranty for the cutter.